Oregon lawmakers have proposed a measure that would ban landlords there from charging pet fees or pet rent. Landlords can continue to charge security deposits. However, the measure still is stoking some controversy. Tenants fear that no pet rent will translate into no pets allowed and some landlords have confirmed that fear by threatening to ban pets if the bill passes. Pet owners fear that security deposits will increase dramatically. While that money is refundable, it also must be paid upfront, which can burden tenants in the process of moving. Tenants with no pets are concerned that rents in general will rise to compensate for landlords’ lost revenues. Some of the controversy stems from semantics. There appears to be an assumption that landlords charge pet rent to offset potential damage that a pet may cause. That assumption ignores the fact that pet properties are a hot commodity given that more than half of renters want pets, but there are correspondingly fewer pet-friendly rentals. If a landlord is charging pet rent to cover damage, and the pet causes no damage, then the tenant loses out. But if the landlord is charging pet rent because of the high demand for pet-friendly properties, then the state is taking away a landlord’s right to charge fair-market rent. 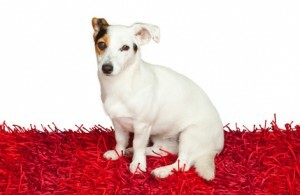 Tenants often are willing to pay the extra amount for the privilege of keeping a pet. Terminology is important for every landlord when renting to tenants with pets. The lease agreement should make clear whether the amount charged is a refundable deposit or a nonrefundable fee. Another option allowed in some states is a special pet deposit, which is in addition to the general security deposit. The only time it makes sense for landlords to collect a pet deposit is where the general security deposit amount is limited by law and the state allows the additional pet deposit. A pet deposit can be applied only to pet damage, so no portion of the general deposit should be earmarked for pet damage. I had a Landlord that wanted $150.00 for my cat. I paid it. My cat never used any other facility than his litter box, which I cleaned out daily. Upon being “forced” to be removed from the premises after being harassed by his new wife, he stated that he wanted to “discuss” the total deposit due to my cat. In other words, he didn’t follow the law and have my deposit available, nor did he give me the required list of discrepancies involved with withhold the deposit or part of it. I called him and he blamed my cat. The truth of the matter, which is now going to court, is that the toilet was defective and the floor smelled of human urine – very different to the smell of cat urine. I support this no extra fees for pets. It should be presented to a prospective tenant if a pet has been in the residence BEFORE applying to rent. Full Disclosure. Some people are allergic to certain animals. I am allergic to dogs, but not cats. This Landlord, even knowing I was allergic to dogs, introduced a long haired dog to his house after he married. The dander filtered through the vents in to my apartment. I am now going in to litigation. Landlords need to abide by laws and not make them up as they go along!